We can remove even the toughest stains through our professional tile and grout cleaning service. Many homes contain tile in the kitchen, bathrooms, laundry room, and other areas that tend to be exposed to moisture. 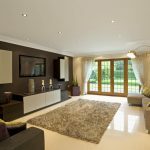 Tile is a great option in these rooms since it is moisture-resistant, yet adds beauty to any property. However, one of the greatest challenges that comes with tile is keeping it clean. 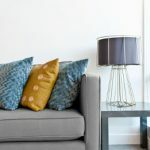 Regular sweeping and mopping may provide a temporary result, but these processes don’t always remove the dirt and bacteria that can be hidden in the pores of the tile and the grout that connects each piece. Deep tile and grout cleaning is necessary to keep the flooring or shower walls clean and free of bacteria; luckily, this is a service we provide for residents of Kernersville, North Carolina. When we perform a tile and grout cleaning service, our technicians will arrive with the tools and equipment needed to take care of the job. These include a truck-mounted unit that removes dirt, grime, and bacteria from deep within the tiles and grout, as well as a specialized cleaning solution that we mix with hot water. 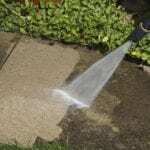 The high-pressure rotary tool allows us to apply the cleaning solution and water through a series of high-powered jets, blasting out any hidden dirt and debris. We can remove even the toughest stains through our professional tile and grout cleaning. 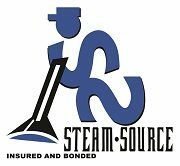 If you’d like to take advantage of the benefits of this service, contact us at Steam Source. We can also place a layer of tile sealant after we finish the tile and grout cleaning, which is designed to protect against future dirt and stains.